Action Wobbles: Mork "Signing off...Nanoo Nanoo"
This guy gave us so many laughs over the years, it's still hard to believe he is gone. 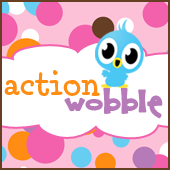 My tribute, I hope it puts a smile on your face as he shows off his wobble action!!! Mork from Ork "signing off...Nanoo Nanoo"